A huge shout out to Kerston Foods for their generous donation to the Bumble Bee Fund and the difference that has made to Sammi and his family. 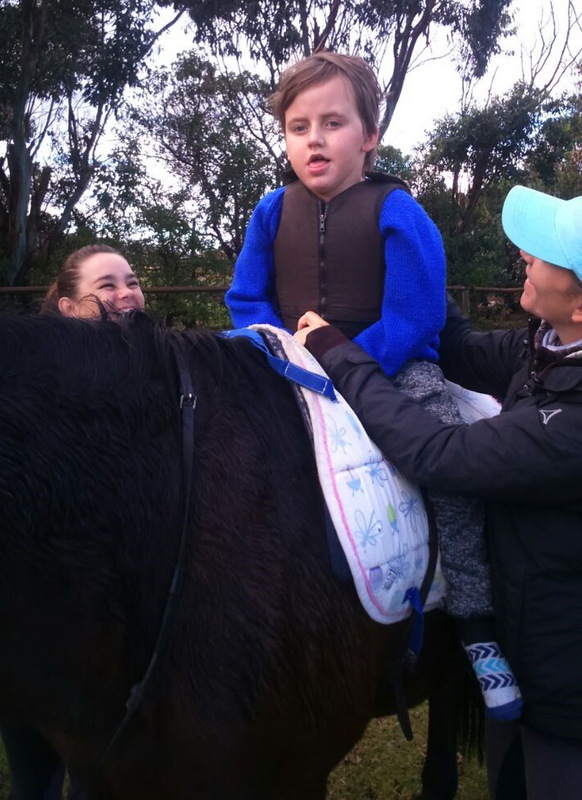 This cheerful, fun loving little guy loves his hippotherapy sessions and now thanks to Kerston Foods he can continue. What is hippotherapy? Hippotherapy is a treatment strategy that utilizes equine movement. Specially trained therapists use this treatment for children with movement dysfunction. The movement of the horse influences the child, who then responds to these movements. This therapy has been crucial to helping Sammi overcome some very serious physical challenges around his low muscle tone. After the medical aid could no longer commit to paying, Sammi was unable to continue with his therapy due to financial constraints. Now Sammi is back on the horse and loving it! Says mum and dad: We are jubilant and so very excited to see Sammi continuing the hippo therapy. It is such a joy to see not only how the horse riding mobilises him physically, but also how the connection with the horse and the whole experience of riding like a ‘big boy’ engages him emotionally!! We believe that this form of therapy has been such an excellent tool for his physical and emotional development. We are so very grateful to the Bumblebee Fund for their incredible donation to assist us with this therapy. We are blown away by your generosity. Thank you also to Sleepy Hollow for being such wonderful and dedicated team.